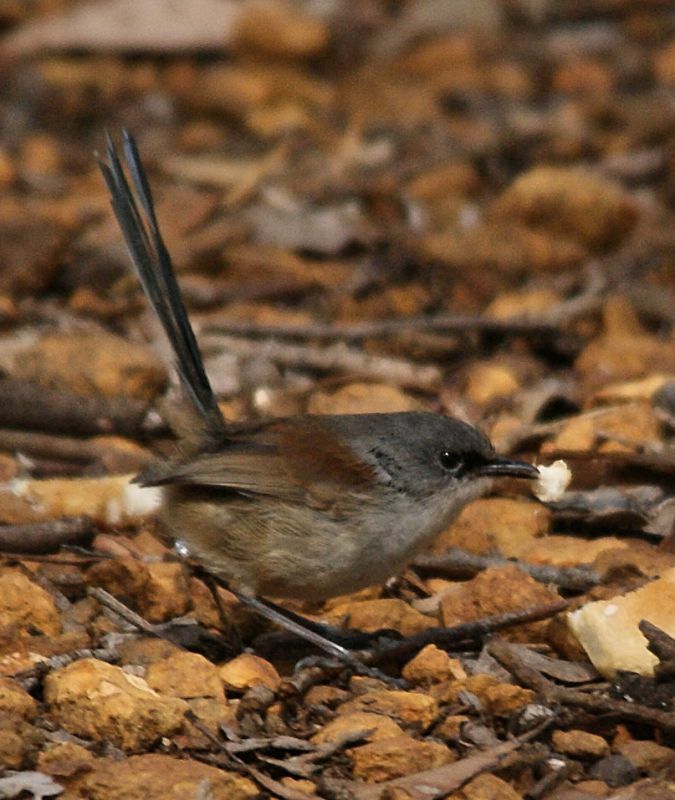 One of two fairywren species endemic to WA, the Red-winged Fairywren is also one of the largest in Australia with a length of 15 cm. They closely related to Variegated Fairywren and it is thought that the Red-winged, Blue-breastd and Lovely Fairywrens are descended from the Variegated, moving out during successive humid periods in Australia's history. As with other members of the family, they practice cooperative breeding where small family groups with a dominant male help to raise the chicks. This bird is a female, while the male is brightly coloured light and dark blue, chestnut, black and pale grey-brown. 1: Porongurup NP, WA, 29/09/2012.